Mr. Darivoff serves as Chairman of the Board of DFG and Chairman of the Board of DFG’s parent company, Vibrant Capital Partners, LLC. 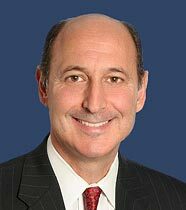 Prior to joining DFG, Mr. Darivoff spent nearly 27 years at Goldman Sachs, where he most recently served as a member of the firm’s Structured Finance Capital Committee and director of the Goldman Sachs Office of Alumni Relations. He initially joined Goldman in 1985 as an associate in the Mortgage Securities Department, was named managing director in 1996, and general partner in 1998. He served as head of Capital Markets and co-head of the Corporate Bond Department until 2002, and chairman of Credit Capital Markets until 2005. Mr. Darivoff retired from Goldman Sachs in 2013. Mr. Darivoff graduated from The Wharton School at the University of Pennsylvania with a B.S. in Economics and subsequently received his MBA from Wharton’s graduate school. He is also a Chartered Financial Analyst.